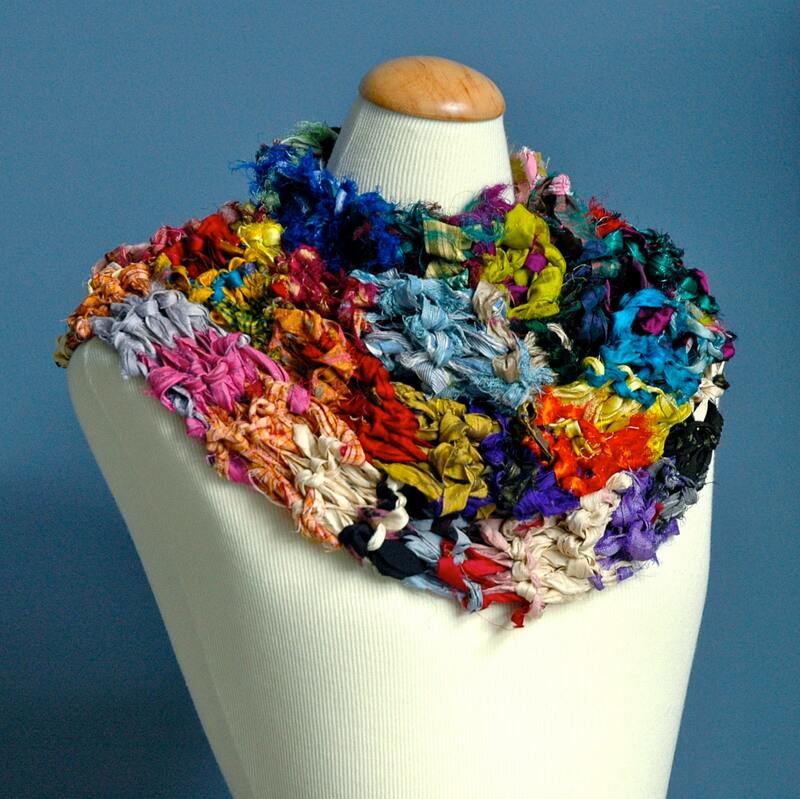 the amber threads blog: Some great recycled sari patterns and finds! A friend made this lovely bag with Recycled Sari Silk yarn and I just had to share it here. 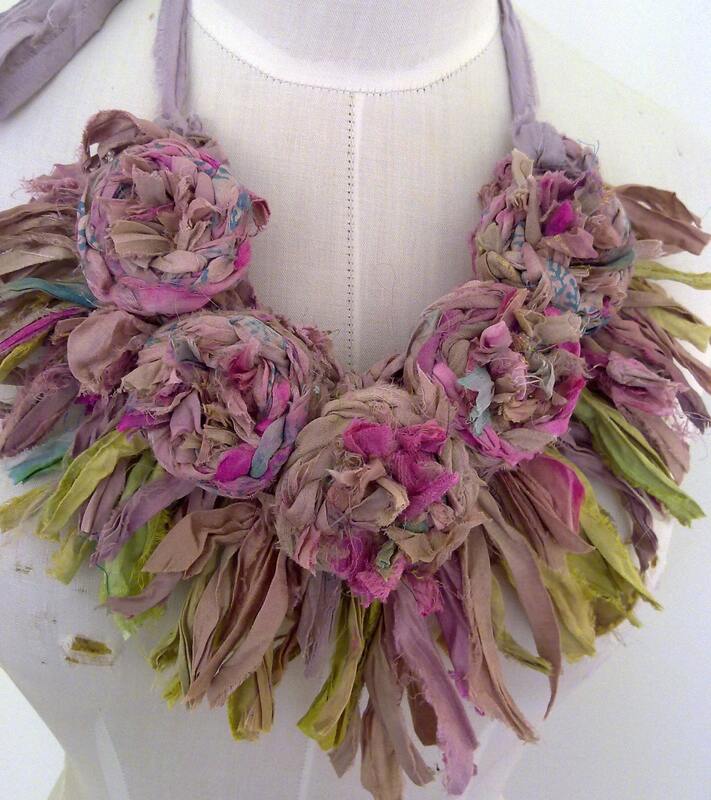 I think this is one of the few pictures where the luster of recycled sari silk yarn is visible! I think this bag will look even more stunning in person! Details of the project on her Ravelry page here. The yarn wrapped handles are a nice touch don't you think?